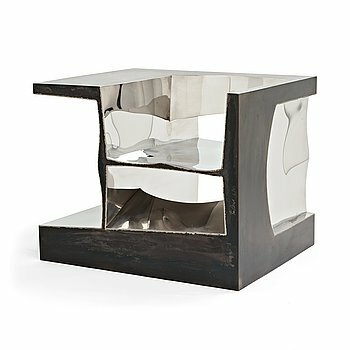 With 335 objects and a total estimate of 27,2 million SEK, this spring’s Contemporary Art & Design auction is the largest in four seasons. 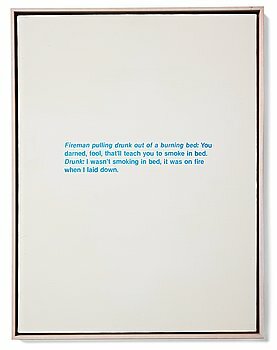 One of the highlights in the auction was Richard Prince’s ”Untitled (joke)”, an iconic art work that reached a final price of 2 144 000 SEK, the highest in the auction. The extensive department including art works from Ola Billgren’s many different periods – from realistic painting in the 60s, – to the major cityscapes executed in the 80s shows his everlasting relevance with three lots exceeding 1 million SEK. One of the themes in the department of photography was Larry Clark’s series Tulsa. 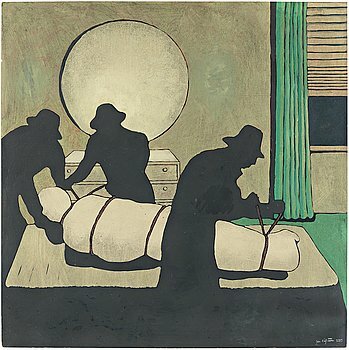 ”Dead, 1970” being the most popular motif and cover of the legendary book ”Tulsa” from 1971, sold for a great 40 000 SEK. László Moholy-Nagys photogram ”Untitled (FGM206)” from 1925-1928 reached the highest final price of all the photography’s during the evenings auction. It is so nice to see that a photogram can reach an exceptional high price on the Swedish market with László Moholy-Nagys photogram being sold to a foreign collector for 1 004 500 SEK, says Karin Aringer, Specialist Photography, Contemporary Art. In the print department, with international bidding and high final prices, prints by the likes of Keith Haring, David Hockney and Andy Warhol were popular. 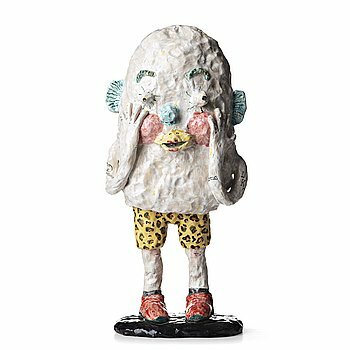 It was the first time a piece by Joakim Ojanen was sold in an auction. 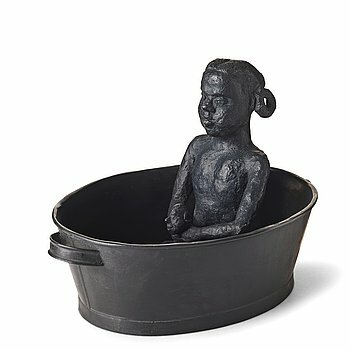 His humoristic sculpture intrigued several bidders and fetched the price of 95 625 SEK. 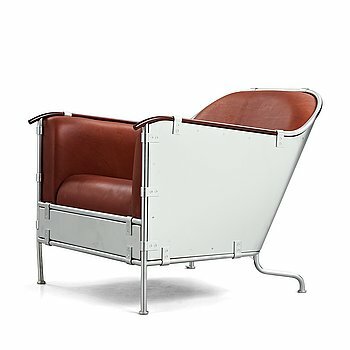 Bukowskis could also present a successful sale of a rare piece from our own Swedish design history, the iconic armchair ”Concrete” by Jonas Bohlin, which sold for 573 750 SEK. Reportedly the original chair and the one exhibited at Konstfack in Stockholm 1981. 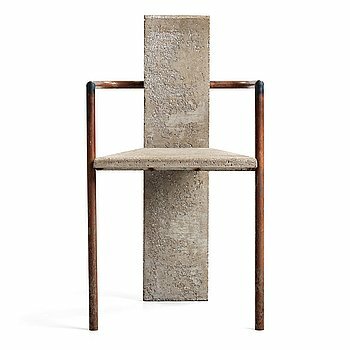 Its unusual that an iconic object such as ”Concrete” is out for sale and that is why its extra exciting that both the interest and result exceeded all expectations. Jonas Bohlin’s ”Concrete” is the most expensive piece of furniture sold in Sweden, with all means, it is an incredible milestone in Swedish design history, says Jonatan Jahn, Specialist Design and 20th-21st Century Works of Art. 41. Ron Arad, a "2 R NOT" chair, 1992, no 6 in an edition of 20. 54. Jonas Bohlin, a "Concrete" armchair, reportedly the original, the one exhibited at Konstfack, Stockholm 1981. 74. Mats Theselius, a "Theselius Rex" easy chair, Källemo, Sweden post 1995. 108. Jan Håfström, "The Visitors". 185. 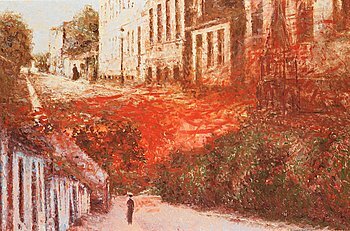 Gerhard Nordström, "Motif from Claude Monet's garden in Giverny". 187. Ylva Ogland, "Min pappa och jag (med gobeläng)". 203. Richard Smith, "Red Sky". 227. Jacob Felländer, “The Second Over That City”, 2009. 260. Hans Gedda, “Sign of Freedom”, 1990. 272. László Moholy-Nagy, Untitled (FGM206), 1925-28. Consignments are now under way for our upcoming auctions. Welcome to contact us today.